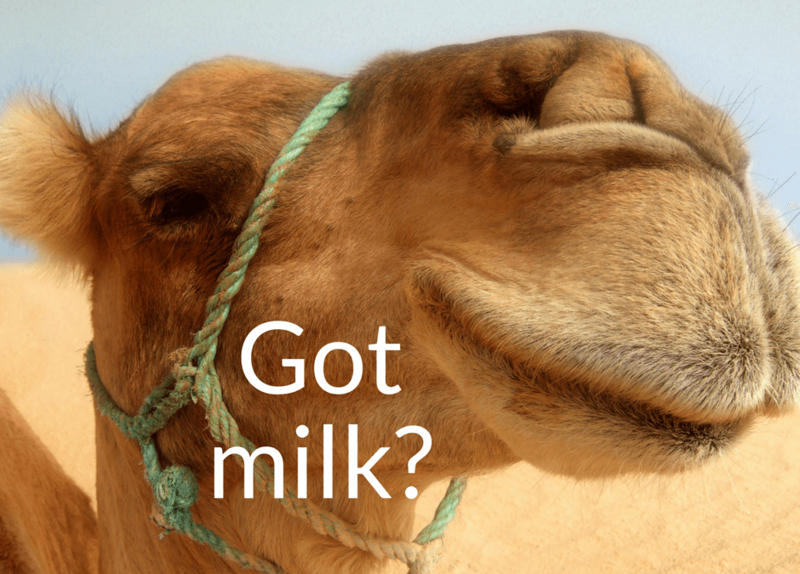 When you think of a source of wholesome, nutritious milk, does camel milk come to mind? It’s a commonly consumed beverage in the Middle East and making fast inroads around the world. Camel milk has been and continues to be studied because of reported scientific benefits for a myriad of conditions, including autism, cancer, hepatitis and diabetes. After drinking two cups of camel milk for just two weeks, children with autism showed improvement in behavior. That’s great news! Something as simple as adding camel milk to a child’s diet can help improve the symptoms of autism and contribute to long term healing. Researchers believe this is because camel milk contains protective properties such as immunoglobulins, lactoferrin and other enzymes which have antiviral, antibacterial and immunological properties and speculate that these properties are able to penetrate into tissues and cells to completely neutralize enzyme activity of an infectious agent; thereby improving autism symptoms. Again, yay! Another study showed that camel milk decreases oxidative stress by increasing glutathione and superoxide dismutase levels. This could be very helpful for families with children suffering from autism. Camel milk can also induce cancer cell death in liver and breast cancer. Even freeze dried camel milk was able to repress the growth of breast cancer cells in another study. So, switching to camel milk from cow’s milk may be very beneficial after being diagnosed with cancer. Even more amazing, due to a couple of the components in the lactoferrin, camel milk can even stop the replication of the hepatitis C virus. And, it reduces the overall viral load in patients’ blood. If that’s not enough, camel milk helps control blood sugar improving glycemic control in type 2 diabetes and normalizes insulin levels in type 1 diabetes. But what about taste? Is it palatable? I did a taste test with friends and family and all agreed that it has a pleasant slightly sweet taste and is a little lighter than cow milk. It has about 50% less fat than cow milk creating that lighter taste. Keep this in mind when using raw camel milk for baby formula in place of raw cow or dairy milk. Compared to other healing drinks, it’s a winner! It’s expensive. With roughly 18,000 cows for every 1 camel in the United States, there is a bit of a supply problem. As demand increases, production will likely follow. In stores in California, it costs about $22 USD for a 16 ounce bottle of camel milk compared to about $15 USD for an entire gallon of the highest quality raw cow milk. It helps to think of camel milk as a healing remedy. Of course, pasteurized cow milk is inexpensive compared to either raw camel or raw cow milk but why bother drinking that. It’s a highly processed food with many of the beneficial qualities killed by the heat. Raw camel milk can legally be shipped all over the United States because the laws that restrict the sale and shipment of raw cow milk apply to animals with hooves not feet like camels. This makes it more available than raw cow or goat milk. That’s a big plus! Are you ready to give Camel Milk a try? It’s not as readily available in the United States as it is in other countries, however, it can be found! Visit desertfarms.com (They offer a free trial pack but you still pay shipping & handling. ), camelmilkusa.com or check to see if your local market carries it. You can also contact your local Weston A. Price chapter leader for sources. Remember, raw milk is best. Pasteurization can kill what is beneficial in any kind of milk.